In response to a news release on BPI announcing that the NSF was going to verify compostable claims and how much credence this valuable certification would add to the compostable plastic industry. Lets have a closer look. 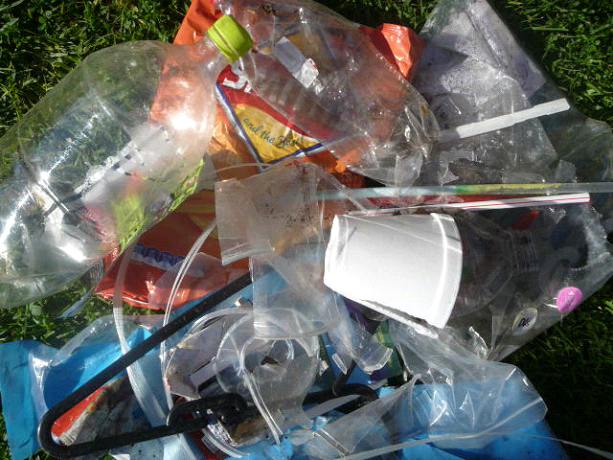 Compostable plastics are not worth too much to a consumer for a number of reasons. 1) There are very few compost facilities around to take the compostable plastic. 6) There is no curb side pick up for compostable plastics so what is a consumer going to do with his compostable plastic bag or spoon? (Other than throw it in the trash to go to a landfill). 7) Consumers are not going to drive across town to drop off a few compostable forks and knives even if they did have a compost facility within driving distance. They are going to put them in the trash. 8) Those composting facilities that are around are now turning away compostable plastics like PLA as they do not break down and clog up their machines instead. Same with compostable plastic bags. 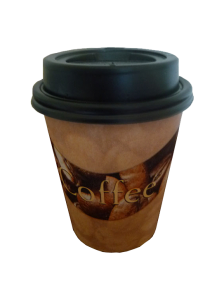 So where is the advantage of compostable plastics? What BPI is doing is telling everyone what a great thing compostable plastics are and adding this independent verification to the compostable claim makes it very reputable – It must be good. It is nice to have a verifiable claim, but if no one is using the compostable process, the verification has no meaning. I could make a house out of cardboard and get it certified that it was good quality cardboard used, but that doesn’t mean it is a good house. In reality compostable plastics are not doing anything to alleviate plastic waste at the moment. While there is no doubt compostable plastics can biodegrade under a specific set of conditions, this is a lot of green washing for the consumers. Brook’s comment about magical additives that transform a plastic to be biodegradable is biased as it is not based on scientific data. There are biodegradable additives that are letting plastics 30-50% biodegrade in a landfill in 150 days. No compostable product can do that. A real hard look at the compostable plastics needs to be taken by the FTC as compostable plastics are not bringing the promise of biodegrading plastics. Instead they are duping consumers into preferentially buying these products well knowing the products will not biodegrade away. It is another selling gimmick that the compostable plastic industry is perpetrating, but the failure of their promotions has serious environmental concerns. 1) Get compostable plastics stamped with a new number, #0 was tried before I believe but it did not catch on. 3) Arrange for curb side pickup of just compostable plastics or work with current recycle centres to pick up the compostable plastic they have sorted out using the ID number above. 4) Prove to compost facilities that their materials do actually compost as at the moment some centres are rejecting compostable plastics as they do not biodegrade and clog up the process. 5) Set up and operate frequent commercial composting facilities. There are 4 responses to "Compostable plastic being Green Washed Again". Comments are closed for this post. Review by A. Stockdale for Rating: We raise guide dog puppies, and have a pet Lab of our own. With two dogs ounrad the house most of the time, effective waste clean-up is a priority. We’ve tried recycling plastic shopping bags (too large, and they often have holes in them), and purchasing special-purpose dog waste bags from the local pet store (varying quality, not biodegradable, and kind of pricey). The best option we had found so far was dog waste bags from Ikea, which were reasonably priced ($1.99 for 50), but not biodegradable. Unfortunately, Ikea has discontinued the product, so we were back to looking for an acceptable solution. After looking at some of the alternatives (flushable bags, in particular), we decided to try these bags from Green Stuff Only.Firstly, the price is hard to beat. If you look ounrad, you’ll see that it’s hard to find bags for much under $.04 a bag. $5.99 for 200 is a very good price, and preferable to ordering thousands of bags to get a comparable price. Secondly, the quality of the bags is good. We’re part way into our first box, and so far I have not had any issues separating a bag from the roll (no holes or tears, etc. ), and no problem opening the bags. The plastic has that dry/rough feel that you associate with corn-based biodegradable plastic, and is green in colour, but otherwise seems very similar to the Ikea bags that we were using. Finally, the bag is a good size I can turn it inside out over my large hand, and back again, without any issues. Without being gross, it holds enough.My main concern was getting a reliable bag at a reasonable price, and these certainly fit the bill. The fact that they are biodegradable is an added bonus, although it’s debatable whether they will get much chance to degrade when double bagged (per our local waste disposal recommendations) and buried in a landfill. I would definitely recommend these bags to others. Review by Daniel J. Stein for Rating: I got these recently to use for cinleang out the litter box for my cats, but I imagine they would work just as well if you are picking up after your dog. 200 bags in a box. They definitely let you know about their environmental friendliness they are only supposed to last for two years, but if this is important to you (like me), then that is a good thing. Otherwise, they are pretty much just like normal bags. They are both green (enviro) and literally green in color (kinda weird, but works). Basically, these bags are exactly what they should be at a reasonable price. If these bags are degradable bags they are really oxodegradable which is a problem. see http://www.plasticwastesolutions.com to see why oxodegradable bags are not only a green washing sales job to con the innocent consumer, but are bad for the environment too. They either do not break down if put in a landfill (but last like a conventional bag), or will fragment in to little pieces of plastic and blow around the environment, plasticizing it all. This is not what we want for our plastic waste solutions. Yup, not surprised here. Some other thgins to consider:1. Beware the label. Many are still just plastic. A petroleum product. They don’t biodegrade so much as break down into itty bitty pieces that you can’t tell are plastic anymore . Some are really 100% plant based (corn typically) those tend to have better breakdowns.2. We tested the Biota water bottle a few years back. All we ended up with was a compost bin (Earth Tub) full of dirty bottles. After contacting the manufacturer, they told us to meet their time frame you have to shred the bottles first. Because so many of us have chipper/shredders for plastic just sitting around.